Spider-Man: Far From Home has one of the easiest jobs for a marketing campaign to have, but also the most difficult. It is a dream for anyone to advertise for Marvel, as the brand name just speaks for itself. With the first film in the new Spider-Man franchise bringing in over $800 million in the box office in 2017, there is already a huge amount of buzz for this film. However, this film does release and take place after the events of the upcoming Avengers: Endgame, and therefore any advertisements for this film are essentially a spoiler for that film. It was clear from the start that Peter Parker himself will survive Avengers: Endgame, as he is expected to be one of the leaders of the new Avengers that may ended up being formed in the film. This trailer gives you enough characters to know what is happening, but not too much that a major character's death is shown. People are already taking it upon themselves to ask if Tony Stark is dead due to his lack of appearance in the trailer, but there was no way that they would show him in this trailer, as it would confirm that he is alive. One shot that people are heavily analysing in terms of this question is the shot of the cheque, in which the cheque has been signed by Pepper Potts. She is his partner and assistant, so to me, her signing a cheque would not be out of the ordinary here. We also have to take Marvel trailers with a pinch of salt. Marvel know how to advertise movies, but also know not to give away any spoilers. Remember when the Avengers: Infinity War trailer dropped and we saw the Hulk running with the other heroes in Wakanda, yet it was altered when the official film showed the Hulk Buster running instead? 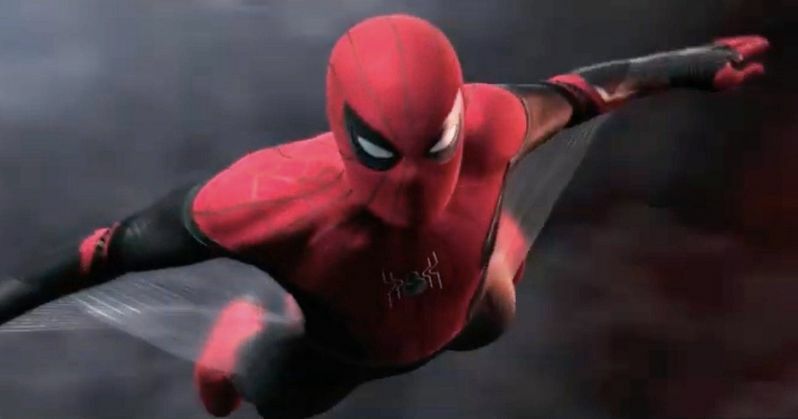 If there is any big spoilers that will be seen in Avengers: Endgame that alter the story in Spider-Man: Far From Home, they will be able to easily cover it up or change it in a trailer. Simply talking about the trailer though, this was a great first release from Sony and Marvel. This is a trailer that perfectly matches the tone of Spider-Man, as they specifically focus on his school life, friends and the humour that goes along that. This goes straight back to making Peter Parker seem like an average teenager that just got the powers, which is exactly who he is. We see him feeling awkward around his aunt who seems to be flirting with Happy Hogan (which is brilliantly edited and hilarious), and relieved to be on a vacation with his friends and not dealing with any major pressure of being a superhero. The fact that they added the clip where Parker decides not to take his suit with him says a lot about his character, and I appreciate the details like that. Yet, we all know Parker is going to face trouble when we see not one, not two, but four different villains in this single trailer. I am usually not a fan of having numerous villains in one film, as I find that it either takes up too much time to develop the characters, or simply that there is less development of the characters. However, this set of four villains is shaping up to look interesting. Not only do they seem to be completely different characters placed in different locations around Europe, they also seem to fit into a different element. We have Hydro Man representing water, Sandman representing earth, Molten Man obviously representing fire, and ending with the main villain, Mysterio, representing wind. 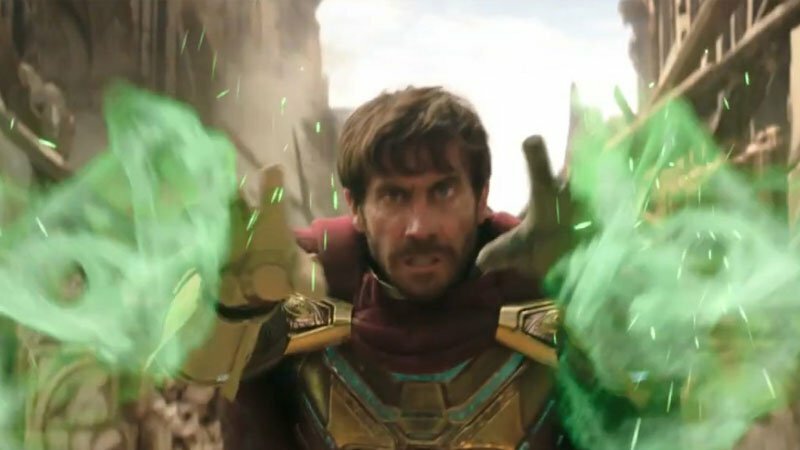 This trailer gives us a small look as to how Jake Gyllenhaal is going to perform in this film, and he is looking great so far. His costume looks fantastic, and I trust Gyllenhaal to give us a good performance. However, it is Samuel L. Jackson that steals the show in this trailer, as I was not expecting him to be in this film. The way he is sitting in the shadows is almost Bond like, and is done so well. This is the sort of surprise I would have expected to see advertised after the release of Avengers: Endgame, but perhaps they couldn't keep the secret of his appearance in the film quiet for that long. Nevertheless, it is always nice to see Nick Fury in any film, and it seems like he will be a role in all three Marvel films in 2019. I really enjoyed this trailer for what it gave us, and what we can expect to see. Placing Parker in a place like Europe feels fresh, and a change of location will be nice to see from the MCU. I am not the sort of person that likes to analyse every scene and shot, especially in a trailer from Marvel, as they can be very misleading. We will only know the full extent of these shots and clips when we watch the entire film, and then we can talk more about the decisions made by Marvel. This is a step in the right direction, and perhaps Spider-Man: Far From Home can surpass Homecoming and make it into the billion dollar club. What did you make of the Spider-Man: Far From Home trailer? Was it a great first trailer from Marvel, or were you expecting more?